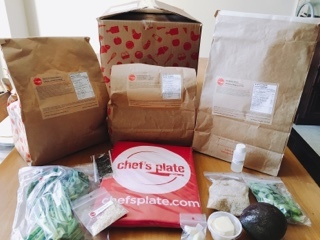 After toiling in the kitchen for four weeks - ah, who am I kidding, it was actually an enjoyable experience - here's a summary of my trials using four of Canada's meal kit delivery companies. 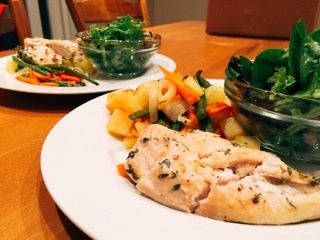 For the home cook wannabes, they’re a huge time saver: all the ingredients (except for the staples) are delivered to your home and they arrive in the quantities required for the recipe (no pesky measuring needed). Just wash, chop, and cook and in under an hour (for the most part), you’ll be serving a hot meal in no time. Recipe cards with pictures and step-by-step instructions are included. Every home chef differs, so it’s difficult to say what I like or dislike about a company would be the same for your family. The table below summarizes my experience using each service for one week testing three recipes for a family of two into elements I deem important below. Based on the results, I’ve classified the company as a “best for”, but only you can decide if that’s truly what’s best for you. Dependability Missing ingredient (pizza dough). Chefs Plate notes a missing ingredient doesn’t happen frequently. However, if it does, their Customer Service group will refund the customer for the meal. Unripened mango and avocado made it difficult to cook the fish tacos. Seafood recipes are supposed to be prepared first, as suggested by most companies, as protein spoils the quickest. Wrong recipe card sent with the package, but was replaced through email. No mishaps. Packaging One of the sturdiest with the insulation built into the box. Paper bags holding each meal is a space saver for the fridge. Kept ingredients coldest with insulation built into the box and large ice packs almost the width of the box sandwiching proteins. Card board box with a separate insulation bag filled with ice packs. Most environmentally friendly with a smaller cardboard box filled with ice packs. The company also offers a pick-up return service for the box and ice packs. Ease of use for recipes Easiest to follow with some ingredients even prepped further (i.e. garlic arrives peeled). Generally, found recipes were the fastest and the cooking time for proteins were bang on. Easy to follow but recipe cards are for 2, 4 or 6 people plans, so you’ll need to flip to the front for water requirements and generally found the cooking time for proteins were off. 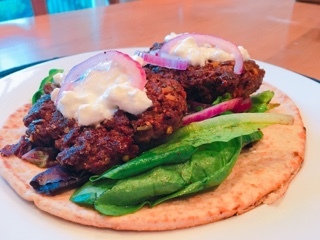 Easy to follow recipe cards and there are quick three minute videos online for further clarity. Easy to follow but some of the steps seem slightly out of order, so carefully consider what would be easiest for combining. Ingredients not included Oil, water, salt and pepper. Oil, water, salt and pepper. Oil, water, salt and pepper. 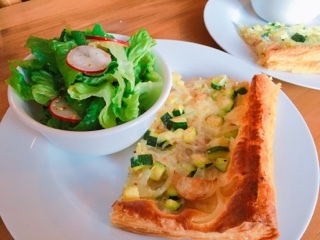 Other ingredients seem unconventional: the apple cider vinegar required for a dressing wasn’t included, but flour (in my opinion a staple ingredient) arrived with the tart. Oil, water, salt and pepper. Special equipment requirements None. None, but some recipes (like the beef pho) require a lot of pots. Food processor. None. How it tastes All tasted good but nothing was outstanding. ADD SALT. Recipes don’t call for it but most are pretty bland without adding to taste. Great tasting meals with special techniques (such as pureeing beans for a chili to thicken) that heighten recipes. Incorporates a lot of different spices, herbs and condiments, so I found the recipes were the most delicious, for my taste. Other options available includes a one person plan. Disclaimer: The above meal-kit deliveries were complimentary. Rest assured, as noted in my mission statement, I will always provide an honest opinion.